Rose damas (Damask Rose) is the rose grown in Chinese Northwest highland desert. It is the best quality roses in the world ! Rose damas has the strongest rose fragrance in the world. This world premium and famous rose cultivar was originating from West Asia. From its Latin name, it should originate in the place around ancient Damascus of Syria. This rose cultivar was introduced to Chinese Northwest territory Xinjiang around one thousand years ago through the ancient Silk Road. 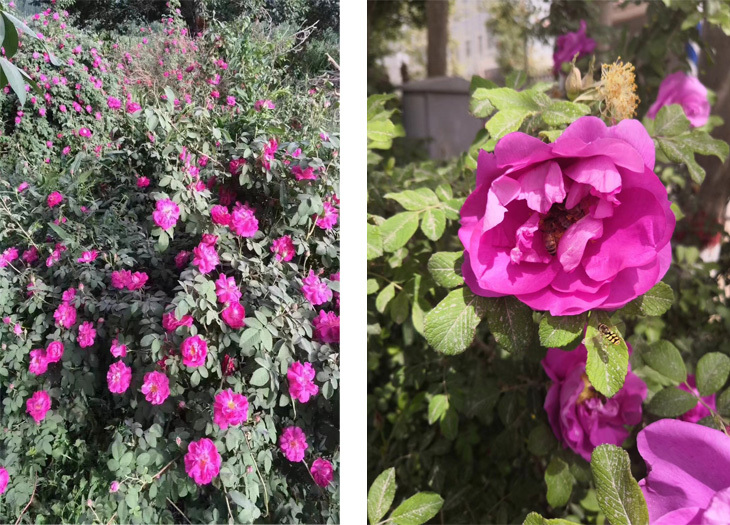 There in the Xinjiang desert area, the special weather, soil condition and highland geological surroundings make the rose grow very well and the quality is so outstanding here. it is also called as Ancient Turkish Rose by Xinjiang people. 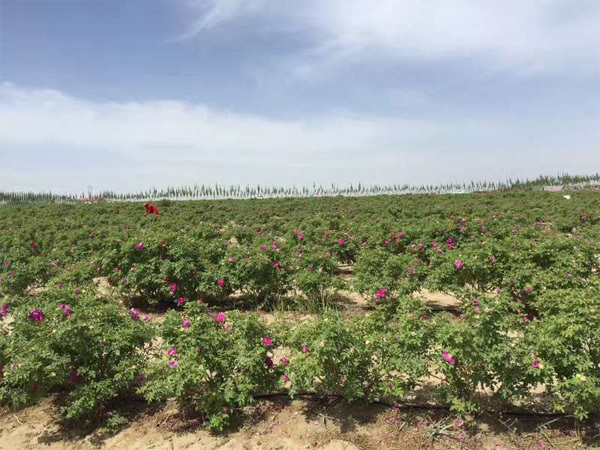 In the past one thousand years, the rose damas has been one of the most important production of Chinese Xinjiang area and become and agricultural industry there. On the other side, the rose damas in its original place west Asia had been less and less planted. 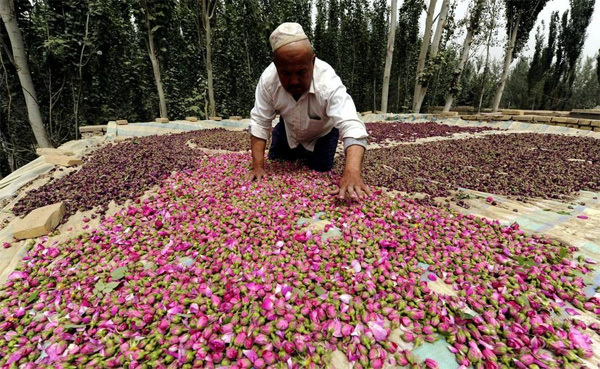 The rose produced in Chinese Xinjiang Province has these special features. 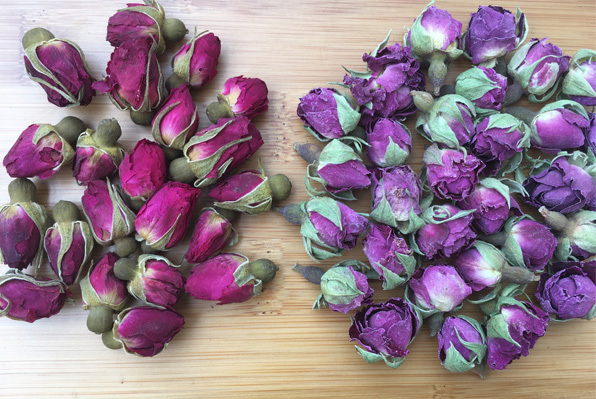 It is big in size, the color is purple, instead of pink color of most rose cultivars, and the most important is that it has much stronger fragrance than other cultivars. it is described that it has ten times stronger fragrance than those other cultivars and produced in the common plain land! 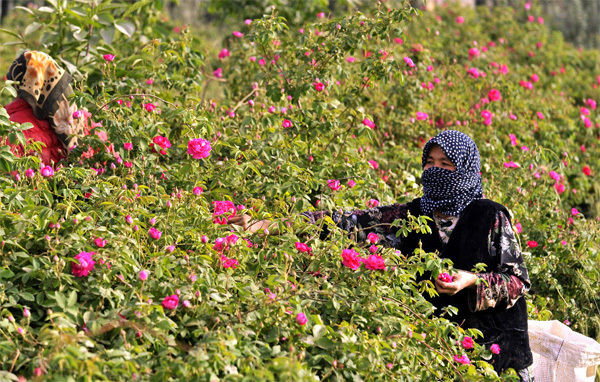 The rose damas grow in the Chinese Xinjiang area is mostly in the edge of desert and irrigated by the melting water from the snow mountains and glacier. The extreme weather and growing surroundings make the rose very pure quality. and there is no insect and very less weed there. So there is no pesticides and herbicides using. And in the sand soil, only there is water, the rose can grow. No fertilizer is necessary! 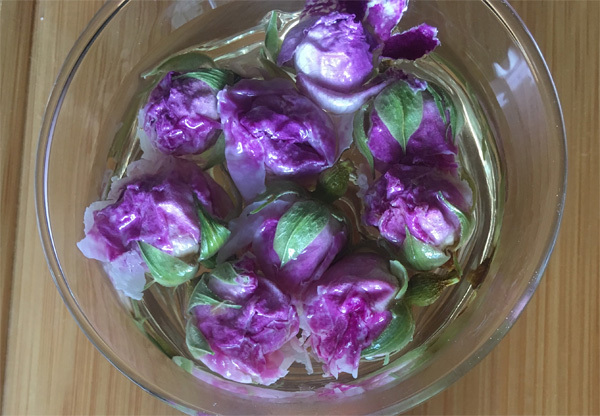 it is a natural organic rose flower product. 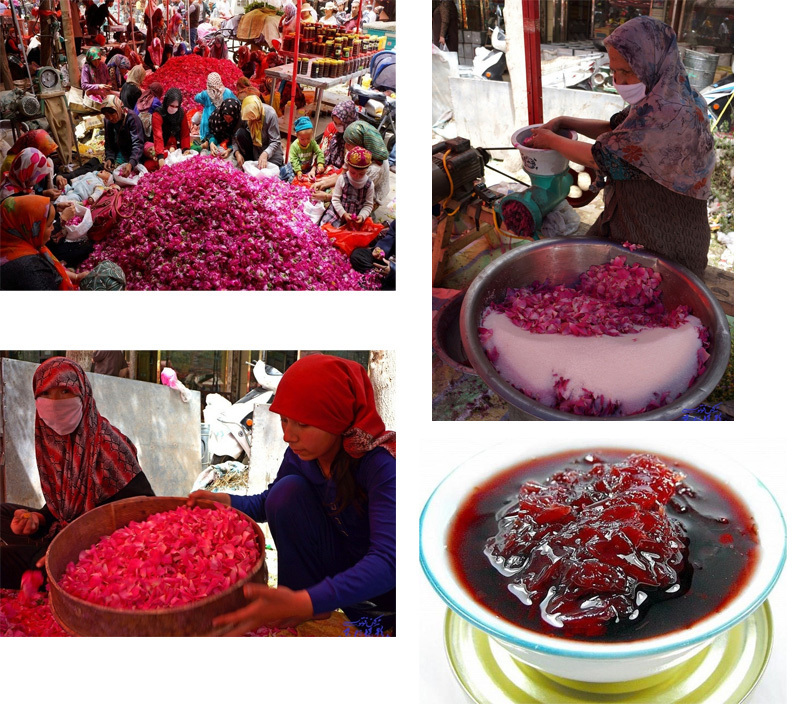 The Chinese Xinjiang Uygur people has used rose damas widely in their daily lives. It was made into different kinds of cakes. 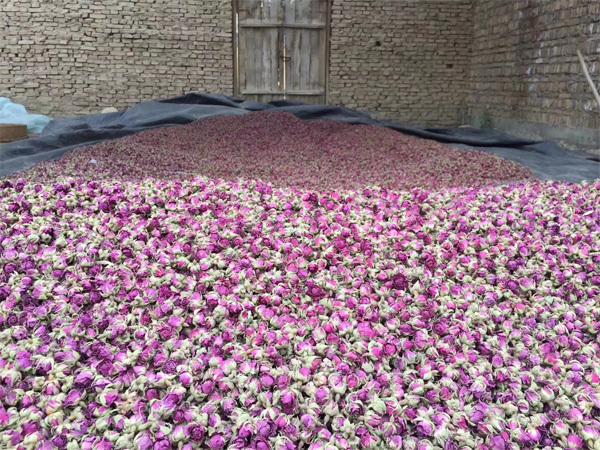 and top grade rose perfumes are extracted from the rose damas. One of the other commonly usage is to brew as tea. It is easy, healthy and delicious!